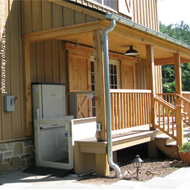 Savaria™ and Lift & Accessibility Solutions understands you want high quality and superior value for your money. 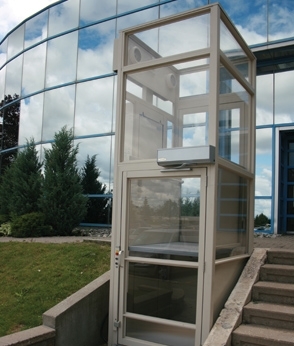 Savaria platform lifts meet your needs whether it be indoors or outdoors, enclosed or open, residential or commercial. 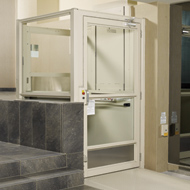 We at Lift and Accessibility Solutions are happy to be able to provide and install the Savaria Multilift, V1504 and Delta inclined platform lift, to name a few. Each lift is unique and made custom to fit our clients needs. Multlift – is a vertical platform lift, designed for low-rise travel, inside or outside your home. Great for accessing decks or porches. V-1504 – lift is built to carry a wheelchair and passenger safely up and down one or more levels. Perfect for public, commercial or private homes, this lift features an extremely versatile design that can be customized to suit virtually any project requirements and aesthetic needs. 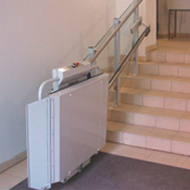 Delta Inclined – lift can be used in home or commercial buildings to provide access over a single flight of straight stairs by travelling along a rail system mounted alongside the stairs. Call us today to discuss your accessibility needs – we can help!